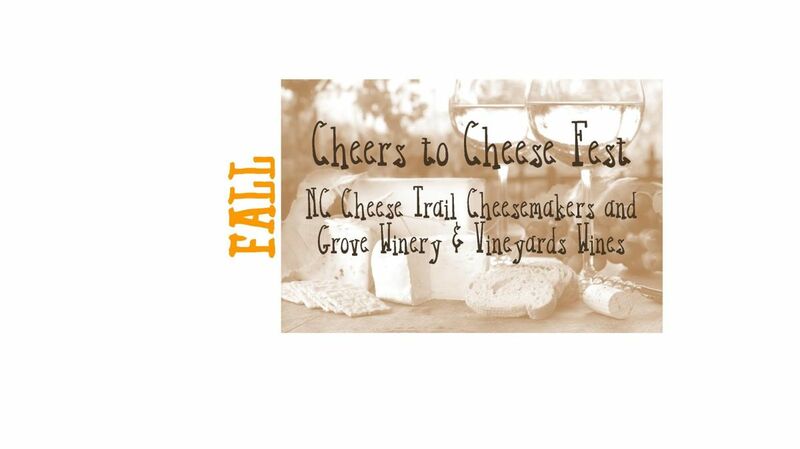 We're celebrating NC Cheese Trail southern artisan cheesemakers (using cow, goat & water buffalo milk) at Trail supporter, Grove Winery & Vineyards who craft European-style wines. Sample and purchase cheese and talk with our cheesemakers about their craft. Grove's tasting room will be open for tasting, shopping or to enjoy a glass of wine on their patio overlooking Lake Cabernet. 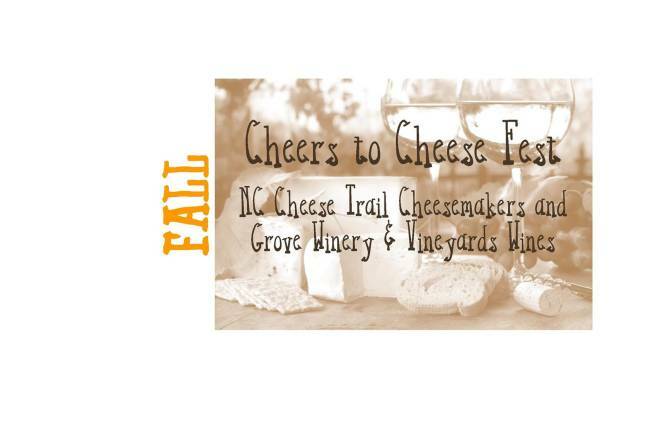 Find out about the NC Cheese Trail and pick up FREE Trail brochures and dairy-themed items for adults and children alike for more Trail hopping fun! This event is FREE on the grounds of the Grove in northeastern Guilford County. While you are here, enjoy live music and food from a food truck along with Grove wines and local craft beers.